There are many exciting initiatives offering schools ways in which to assist with passive income for exciting projects. The MySchool MyVillage MyPlanet fundraising programme is one of South Africa’s biggest community programmes. 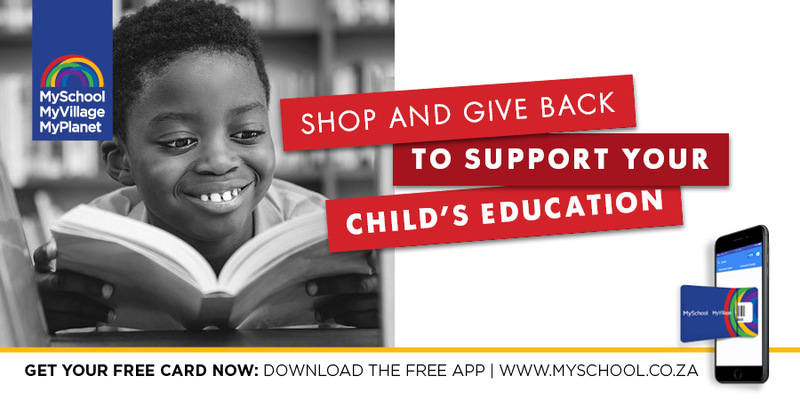 They raise funds for schools, charities and environmental organisations through a card system that allows supporters to raise funds for their beneficiary (school or charity) every time they shop at our partner stores. Partners make a contribution, on behalf of the supporter/cardholder, towards the beneficiary they have selected. Click here to sign up online TODAY! Litres For Education is an innovative initiative that offers the everyday South African an opportunity to support their local school, charity or community project. By supporting your local donor LFE service station you will be supporting your chosen beneficiary every time you fill up. Litres For Education is the brainchild of Graeme and Zelda Schewitz who have always been staunch supporters of local community projects. Education is the foundation of our Country’s future and Litres For Education will now enable every single motorist to be part of this wonderful initiative. It’s for FREE!! Graeme and Zelda Schewitz have been involved in the retail fuel industry since 2002. The fuel industry has massive financial potential to raise funds in a sustainable way for our country’s schools, charities and community projects.